Maid in Oahu has a solution for every home. We offer easy flat-rate pricing.  Maid in Oahu brings you happiness by providing fantastic house cleaning and excellent customer service. We offer simple flat rate pricing based on the number of bedrooms and bathrooms you have and the type of service you select. No complicated pricing schemes and no need to wait for us to come out to your home to give you a quote. Conveniently book online or give us a call to set up your cleaning today!